This is an example from Dr. Shirazi’s collection. I am not sure where in India this is from. Perhaps some of my readers might know? Somebody tell me about it! This is just spectacular. 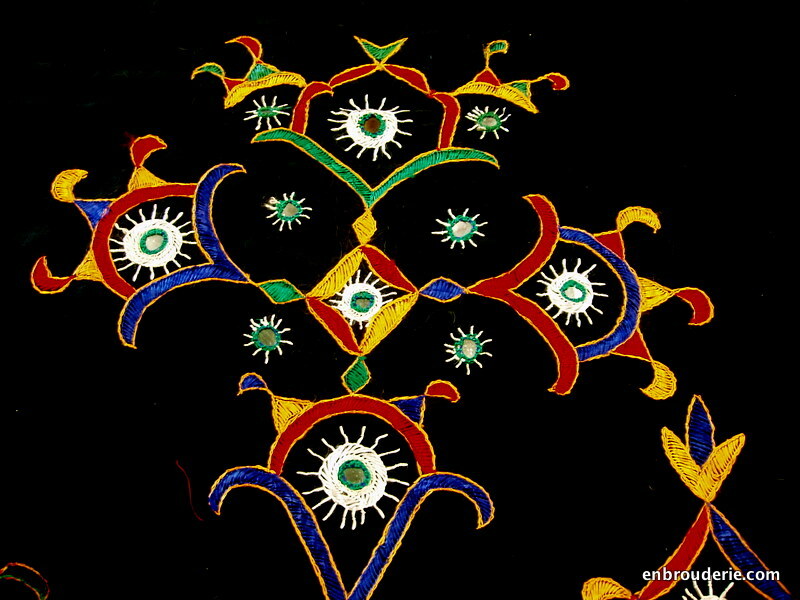 Below you can see one of the motifs and the lower border. 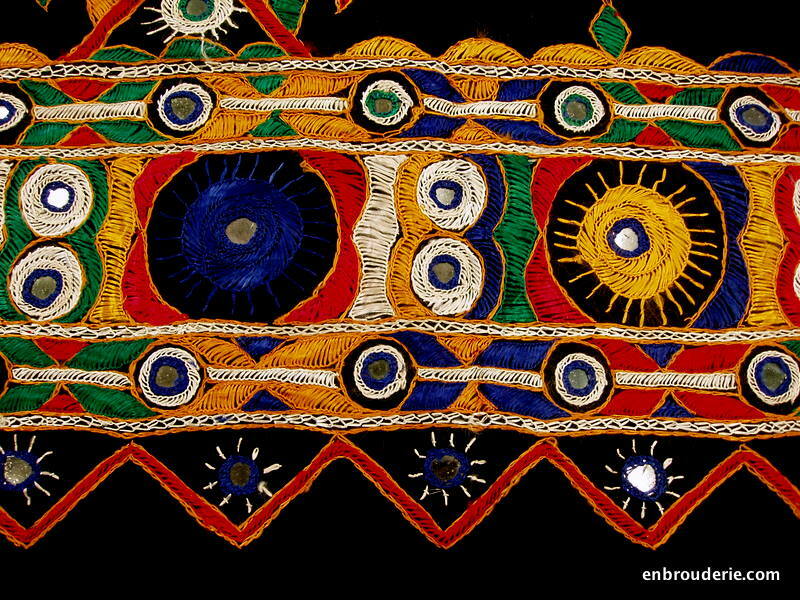 If you look even closer, you can see that the stitches are very simple. What makes the work spectacular (besides the sheer size!) is the bold color and geometric design. And the mirrors of course! Here is a better view of the upper part of the design. I will just finish the post with a number of photos. 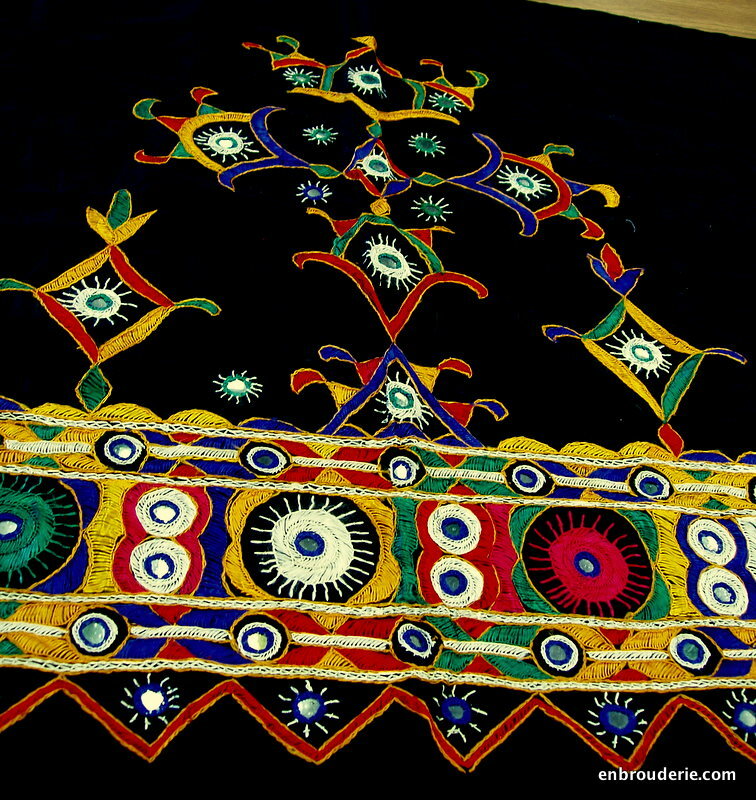 This entry was posted in Embroidery around the world, Indian embroidery, Shirazi and tagged indian embroidery, shisha. Bookmark the permalink. All I can tell you is what you already know….It’s gorgeous! 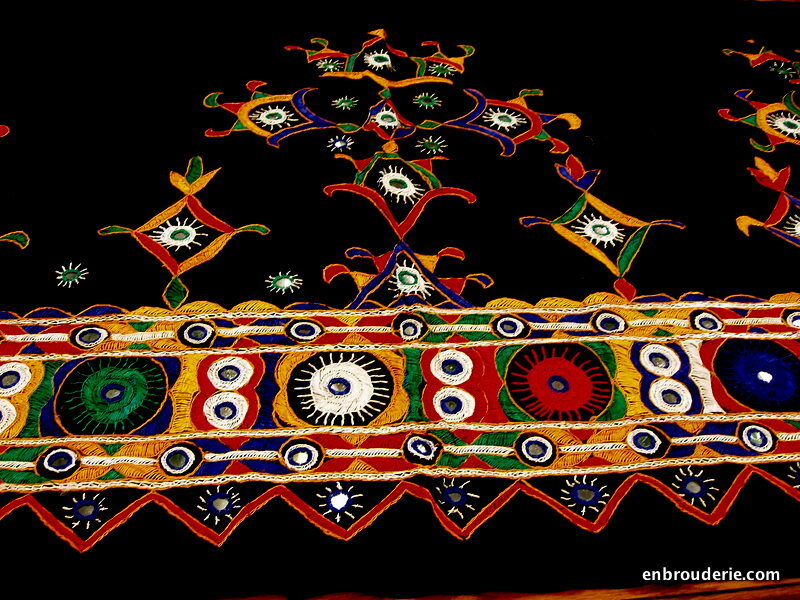 This embroidery is from western part of India Kutch District in Gujarat. 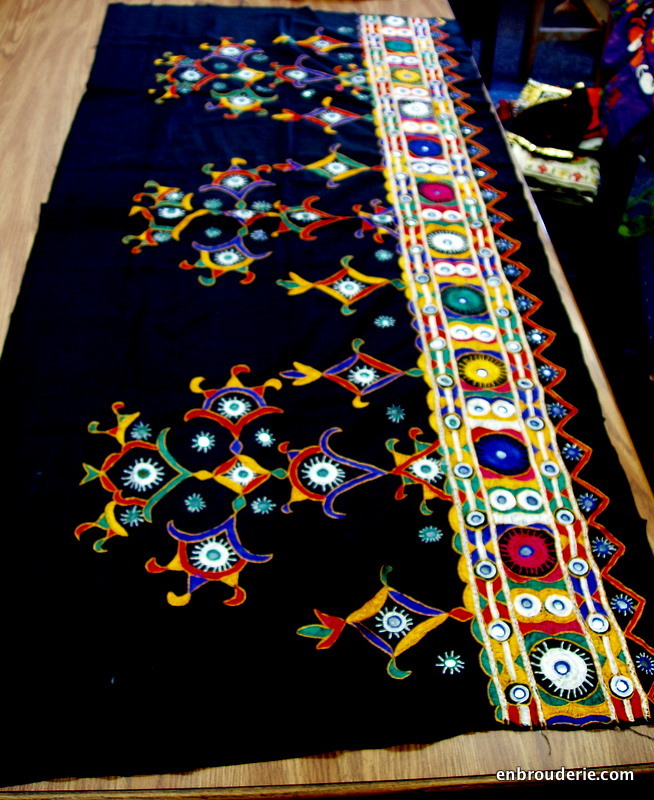 Mirror work /kutchi work is mainly seen on women Skirts, blouses, and shawls.Its mainly buttonhole stitch with mirrors. 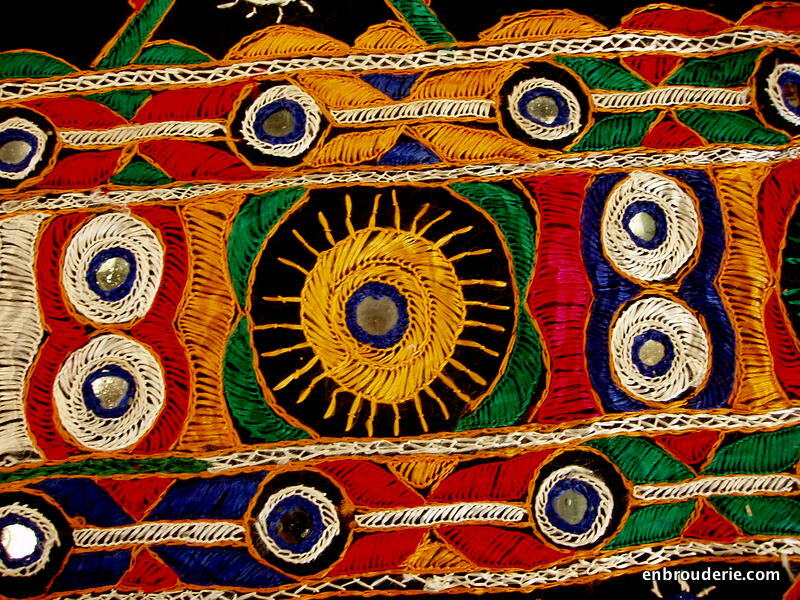 Mirrors are now a days replaced by metal,since become very heavy.Vibrant colors threads are used for embroidery. Oh so gorgeous. I’m sharing this post on my public facebook page! 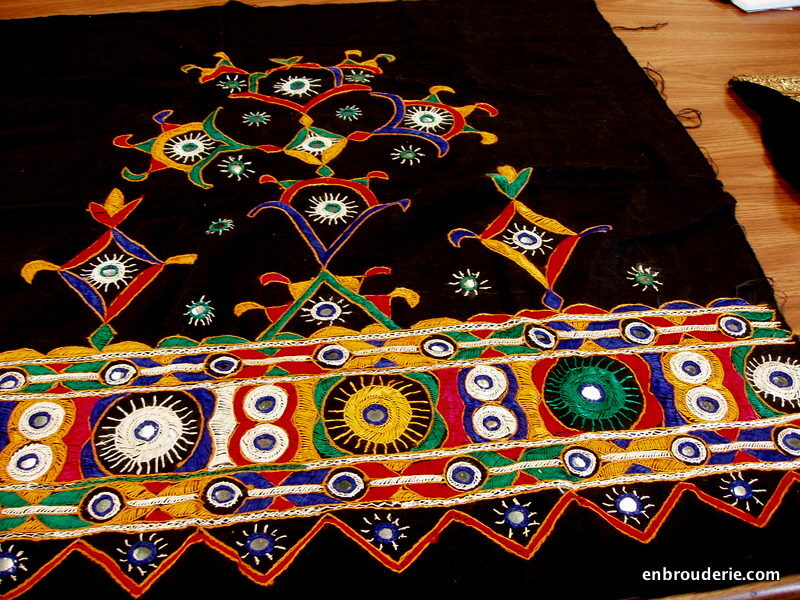 A beautiful piece.This is ethnic embroidery from Gujarat-a eastern state in India. 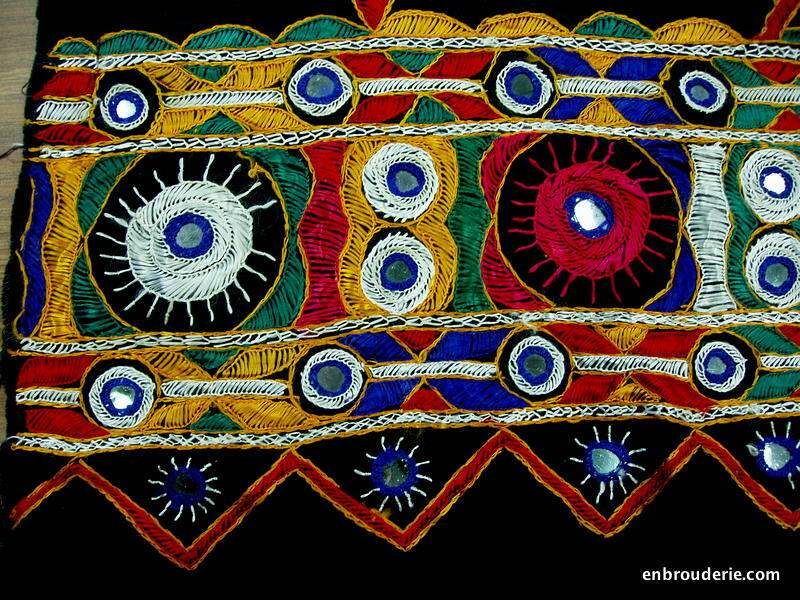 the stitches used for this embroidery are-herringbone, buttonhole, chain, open chain, Cretan , feather and mirror work.